Bob Bilodeau, a beloved long-term resident of Our Harbour until recently, died of a heart attack on June 12th, 2018. Our great loss: Board member and vigorous volunteer, Colette Plouffe Barbery, September 2, 1946 – March 25, 2018. Sadly, we must announce that Billy Douthwright, a much-loved long-term resident of Our Harbour, died November 8. Click here for more details. 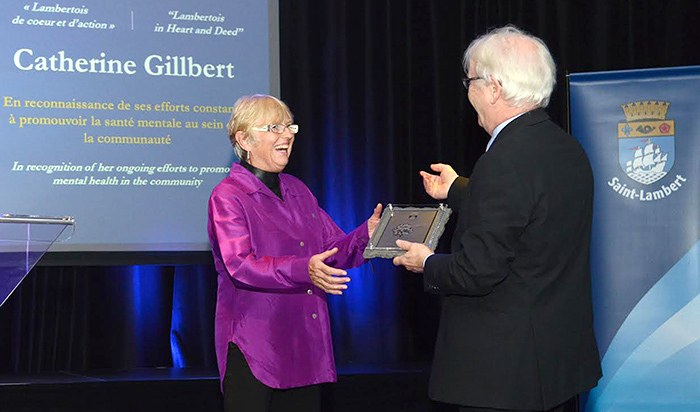 Our Harbour Chair Catherine Gillbert received the 2016 Lambertois Merit Award from the city of Saint-Lambert, Quebec for her work supporting the cause of mental health in the Montérégie. As part of the L’Abri en ville network, Our Harbour was a joint recipient of an Award from the Mental Health Commission of Canada (MHCC). 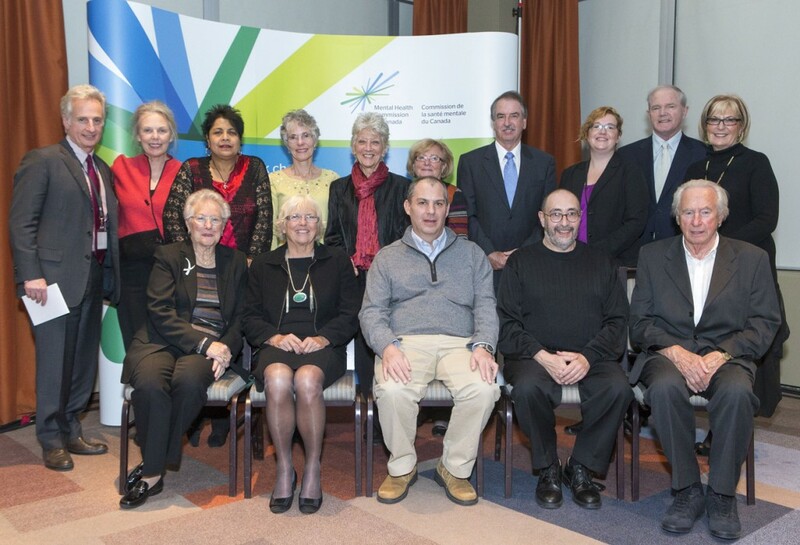 The award was presented on October 16, 2012 at the Commissions annual dinner in Ottawa. Reflecting the continued successful expansion of the L’Abri model of resident support beyond the island of Montreal, the award recognized initiatives that strengthen the capacity of community-based mental health services to meet identified community needs, foster recovery and well-being for clients, and provide for their support networks.